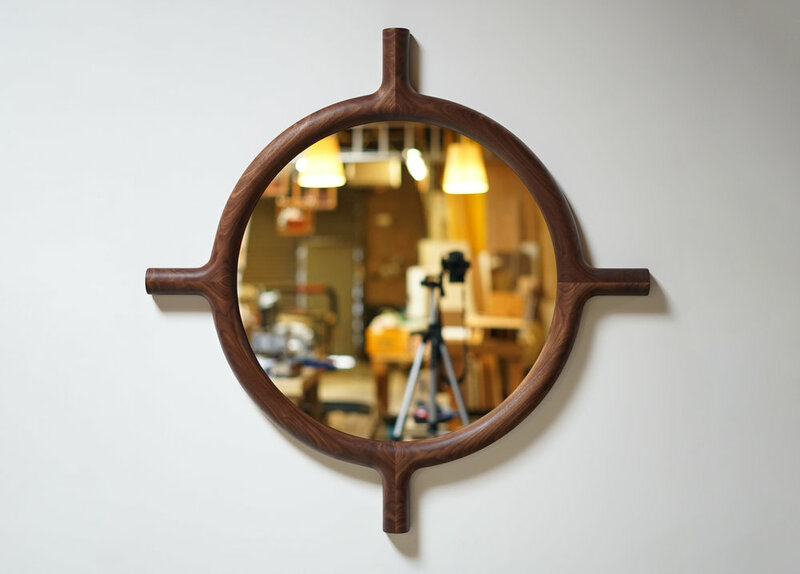 Round mirror made from solid walnut or rift white oak in the shape of the letters "O" and "X". Two options for orientation. 1.75" thick and 29.25" wide in standard orientation or 39" when rotated 45 degrees. Walnut mirror is ready to ship. 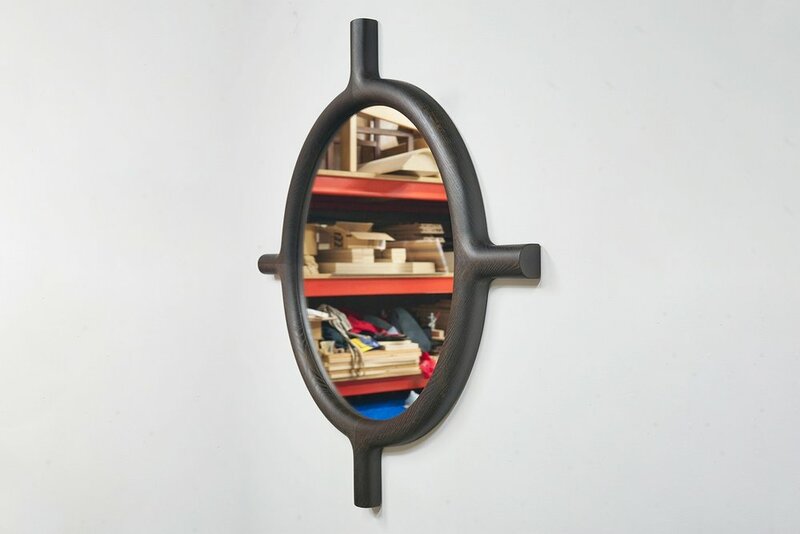 Oak mirrors are made to order in 10-12 weeks.